STAPLES // The Collection Lasting Perfection Concealer will always run out & I will always replace it. Nothing comes close to this £4 bargain when it comes to coverage and staying power #enoughsaid. Skincare wise it's the Garnier Eye Makeup Remover that's made it onto my staples list. Being partial to the false lash look, I need something fairly heavy duty in the 'taking it all off' department and this tops the other dual phase removers on the market both in effectiveness and price. REPURCHASES // Knock me down with a feather, I've finished a lip product! The Bourjois Colour Boost Lip Crayon in 'Peach on the Beach' is my go to easy one wash shade every spring & summer, so this season I had to buy another tube. A newcomer I will go back to is the Mark Hill MiracOILicious Treatment as nothing has left my hair feeling so soft and silky in a long time. The Elnett Precious Oil Hairspray also went down well with my barnet, keeping styles in place whilst offering some softening, conditioning properties. DISAPPOINTMENTS // I'd previously gone through several tubes of the original La Roche-Posay Effaclar Duo, so decided to test out the plus version. Whilst I love everything both editions claim to do, I still have yet to figure out if they actually do anything (have you seen results?!) so I think I'll save my pennies rather than repurchasing. Having just raved about how much I love the Garnier Eye Makeup Remover, the same can't be said for the Garnier Micellar Water sadly. It's not bad, just no match for big old Bioderma. I've just used up my Collection concealer as well, always a repurchase ! I will repurchase the Collection concealer over and over again! The Bourjois lip crayon looks really pretty as well, I can't believe I haven't took much notice to it before! I have never used bioderma so the Garnier version is something that I love to used. I tend to wash my face with a cleanser then use it with a large cotton pad just to get rid of any dirt left on my skin. 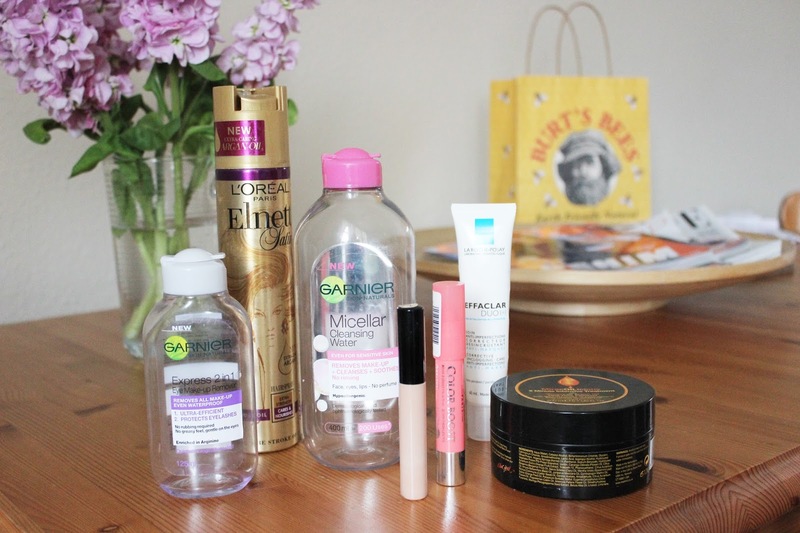 I'm a big fan of the Garnier make-up remover but like you am not a fan of the micellar water!